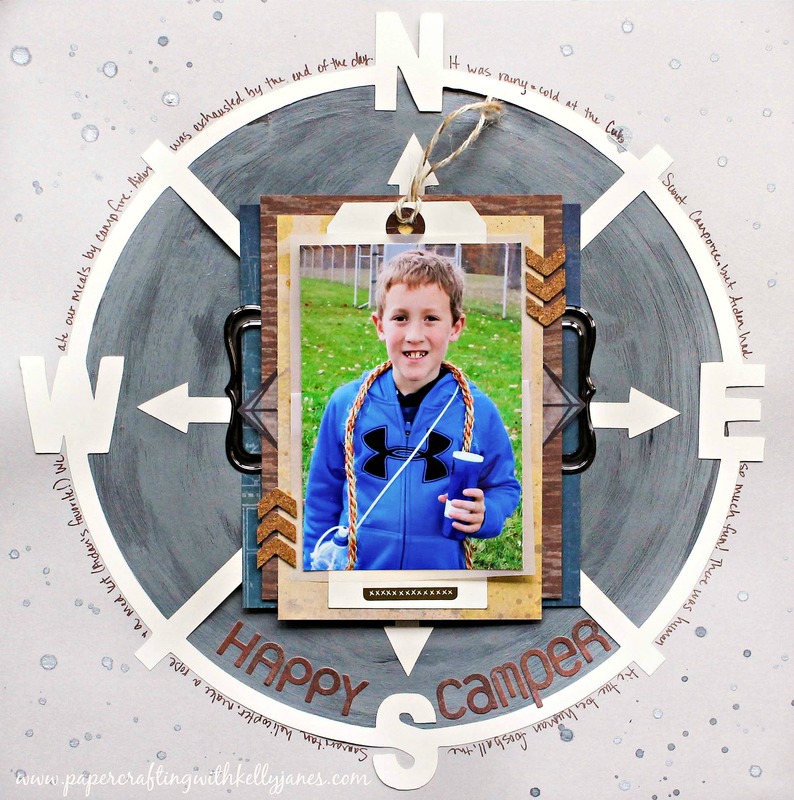 I recently shared this layout featuring photos from my son’s Cub Scout Camporee. I included 13 photos in that layout so I didn’t have a lot of room for journaling. 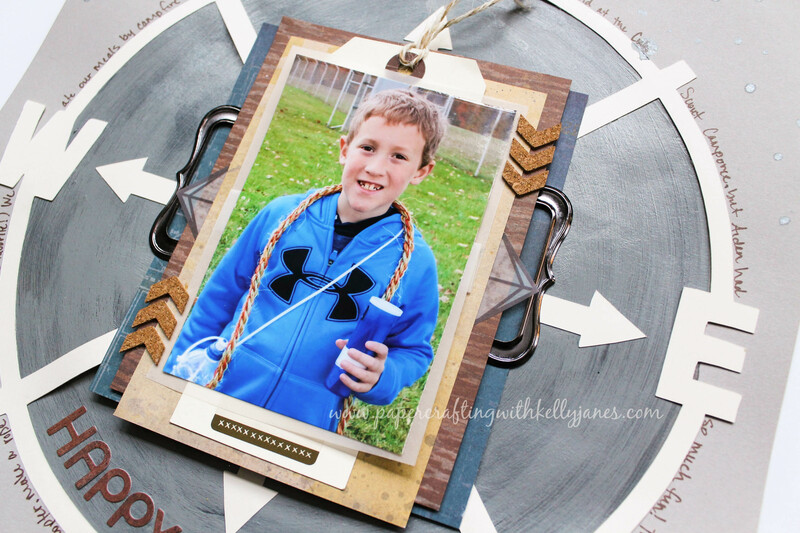 I created a second layout featuring a large photo and journaling on his favorite activities and all the fun things we did that day. I started with a Whisper Cardstock base and added The Happy Camper Cut File from The Cut Shoppe on Colonial White Cardstock. I knew I wanted to back the cut file but I didn’t have a patterned paper that I liked. So I grabbed a couple tones of silver acrylic paint and mixed those colors with black acrylic paint until I achieved the color I was looking for. I really like how the brush strokes almost have a woodgrain look! Once the paint had dried I used multiple layers from the Urban Paper Packet to back my photo. I also included a lot of products that have been looming in my stash for a long time-including the silver bracket frames, stickers from the retired CTMH Jackson line, vellum stickers, CTMH cork chevrons, a tag and twine! The title is a wood grain sticker sheet from Basic Grey. For the finishing touches I incorporated the journaling by writing around the cut file. When I think of camping I think of laying under the stars so I splashed Heidi Swapp Tinsel Color Shine in the corners of the page. 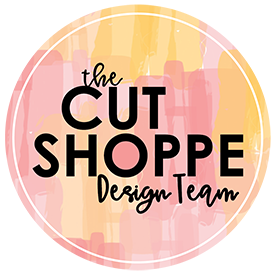 I’m linking this layout to The Cut Shoppe ‘Cut It Out’ March Challenge.